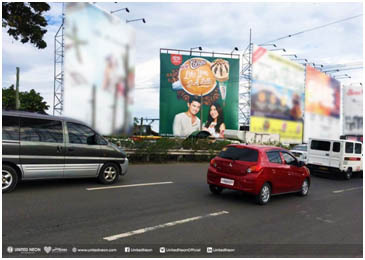 Many of the brightest stars we see every day on our screens, magazine covers, and favorite primetime shows are also some of the most prominent faces that light up the roads across the country, lending their pretty faces and unique personalities to brands and billboards all around. There’s hardly anyone in the country who doesn’t know Liza Soberano. 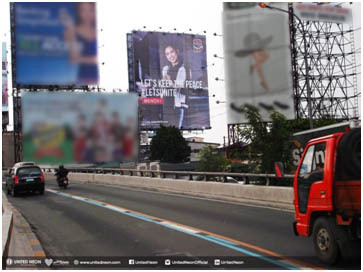 You see her everywhere – magazine covers, movies, and of course, towering billboards. 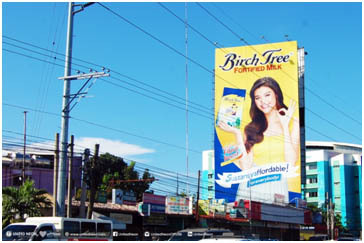 Following her stint in the hit romantic comedy series Forevermore, Liza began to shine as one of the brightest stars of Philippine television. 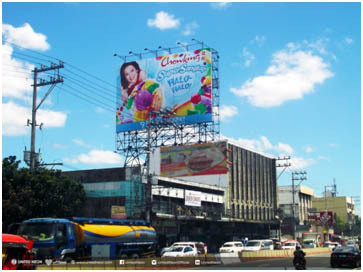 Now that she’s ranked among the most beautiful women in the world, it’s not surprising to find her dominating the country’s billboards as the face of various brands from food, to apparel, to beauty products, and many more. 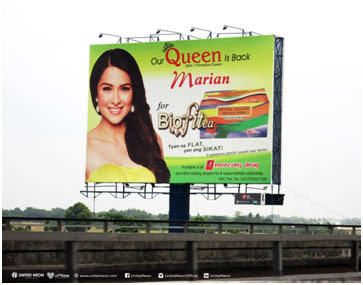 Since her rise to fame as “Marimar,” Marian Rivera has been constantly topping the ranks of the country’s sexiest actresses and most sought-after celebrity endorsers. 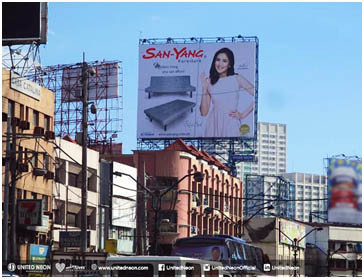 From food brands and fashion labels, to gadgets and condominiums, GMA’s primetime queen seems to have done it all! 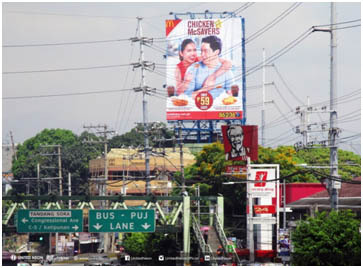 Two years after their accidental yet phenomenal pairing, Alden Richards and Maine Mendoza remain one of the hottest love teams today, and one of the most bankable as far as billboard advertising is concerned. 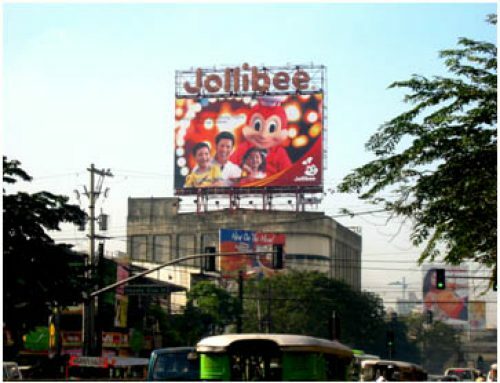 Within months of being a prime hit for noontime show Eat Bulaga!, endorsements rained upon the supercouple – both as the beloved AlDub and themselves separately. Another beautiful power couple, Nadine Lustre and James Reid, are not just seen on TV shows, they have also been plowing through endorsements, conquering print ads, TV commercials, runway shows, and of course, billboards in recent time. The “Queen of All Media” needs no introduction. 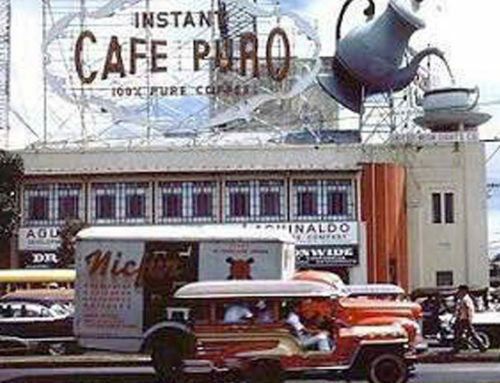 Kris Aquino’s timeless beauty and influence has been the face of many different brands and has graced many magazine covers throughout her colorful showbiz career. Since her rise to stardom as one of her generation’s most talented singer-performers and actresses, Sarah Geronimo has become a household name for Filipinos. Her edge? She’s the complete package of talent and beauty; more than just a pretty face, her commercials often call her to do a mini sing-and-dance number in tune to the brand’s jingle. 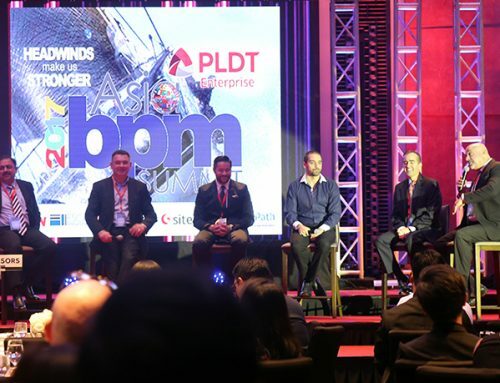 Young as she is, Sarah has become a powerful promoter in her own right, raking in endorsements with catchy commercials and a commanding billboard presence, whatever brand she carries. 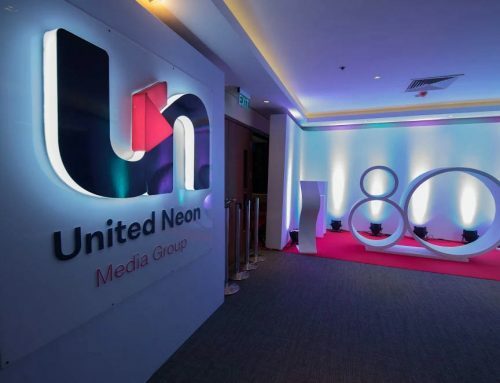 These same celebrities also figure in the long list that out-of-home advertising pioneer, United Neon, has put the spotlight on since the 1930s, making our rush hour trips just a little more pleasant since then. 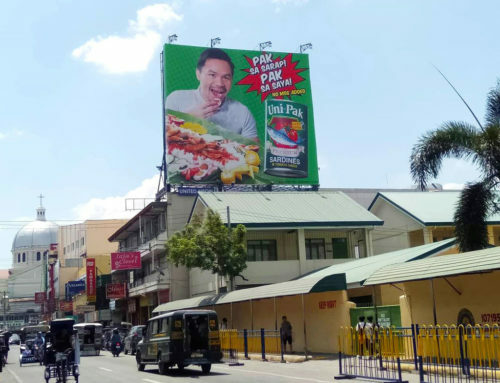 With technological advancements constantly paving the way for innovators to come up with new ideas in OOH advertising, the future of this medium looks as bright as the beautiful stars lighting up billboards and ad spaces along our thoroughfares.